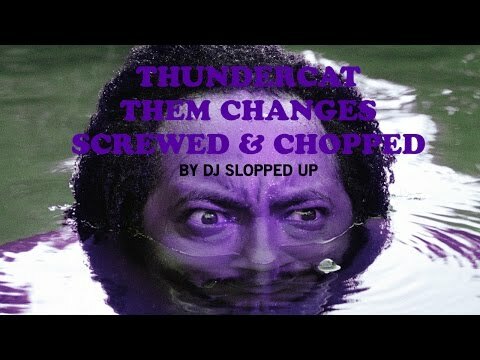 Yo, I'mma go out and say these Chopped and Screwed remixes of Thundercat's Drunk album is far superior to the original album. No denying Thundercat is one of the illest session musicians in the LA scene. His solo work just wasn't doing it for me. Even though, I do think he has a unique voice, and sound. When I found this Drank mixtape. WOO shiet!! This just proves my theory. Slower is better. Heavy Rotation Y'all. My biggest issue and what stops me from repeat listens of his work are his lyrics. They feel like an afterthought to a lot of his songs. He has chops but nothing he's done has ever gotten a rewind from me. I play bass but it seems a lot of cats want to solo like a sax player and I don't. Grooving is whete it's at for me. Ah I've been meaning to check the chopped and screwed version for a while now. Thanks for the reminder. I thought Drank was ok, decent in parts, and liked the Loggins, McDonald cut for it's lack of ironic winkiness. 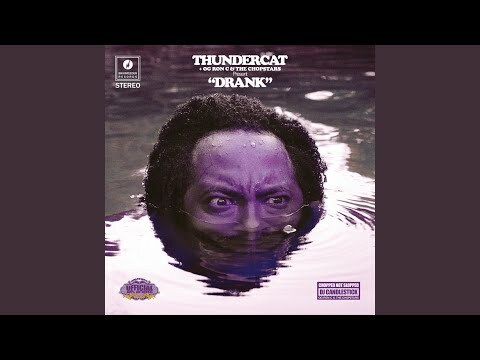 I've slowly accepted though that I tend to like the idea of Thundercat more than the actual output.